Ufrate is a US-based global incubator located in Silicon Valley. We focus on implementing our Deep Incubation philosophy to provide startups with the full attention they need to succeed. 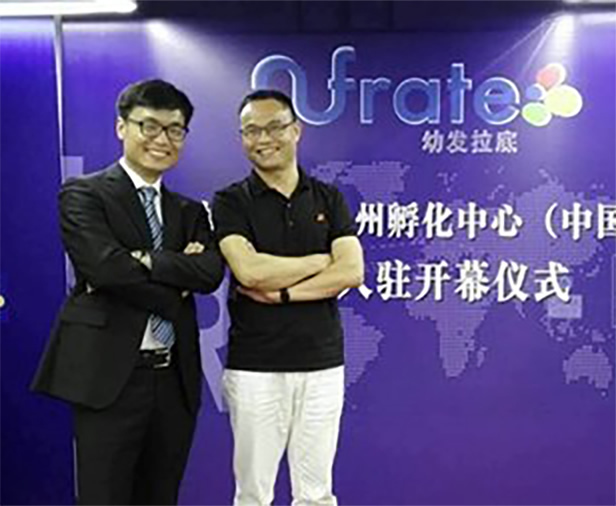 Ufrate has opened branches in Silicon Valley, Beijing, Hangzhou, Huzhou, Shenzhen, Zhuji, and Tel Aviv, connecting high-tech innovation regions around the world to create a borderless global incubator. Ufrate primarily focuses on the health, e-commerce, and AI industries. We also have our own multi-branch fund companies to provide services for the incubator. △2008 - Began establishing company in the Cayman Islands; Operational headquarters established in Silicon Valley. △June 2015 - Began operations in Hangzhou. △October 2015 - Began operations in Beijing. △January 2016 - Began operations in Huzhou. Thus, since the establishment of the Silicon Valley headquarters, Ufrate has spread out to numerous bases, creating a global network of resources and informations. Our mission is to provide startups with much more than just investments through our Deep Incubation philosophy. As part of our Deep Incubation philosophy, we aim to share business experience with our partners to develop better information optimization, business partnerships, human resource services, brand imaging, operational management, relationships with government and media, and more. Through our Deep Incubation philosophy, our objectives are to develop tools for organizations to work with government policies, to promote scientific and technological advancement, to support business development, and to stimulate innovation in the regions we work in. Dr. Shen is the founder of the Ufrate International Inc. Since 2007, Dr. Shen has created seven seven Silicon Valley high-tech startup companies, including AO Narrowcast, eBranding, Union Reservoir Lab, XZ Diabetes Inc., and Bajie Technology. Dr. Shen received his Ph.D. in computer engineering from Iowa State University, and his bachelor’s degree in electrical engineering from Tsinghua University in Beijing. With his abundance of influence and experience, Dr. Shen brings innovative ideas and business strategy to Ufrate. Prior to his business ventures in Silicon Valley, he worked as a senior engineer at Cadence Design (the world's largest chip design software company). 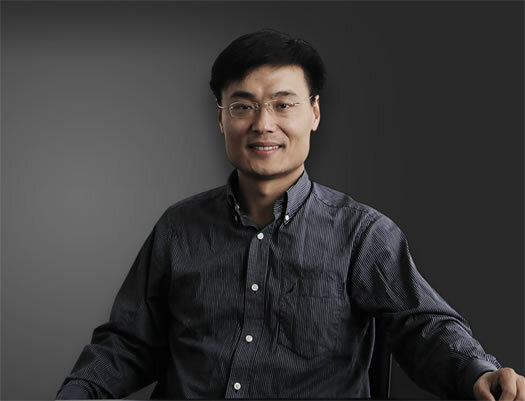 Dr. Shen has published seven papers in IEEE, VLSI, CAD and other academic journals as well as conferences, and holds several patents in computer related fields. From studying electrical engineering at Tsinghua University to computer science in America, then jumping from the engineering industry to the internet industry, and then pivoting from internet to health care, every step marks new border crossed, a new beginning for Dr. Shen. Opening ceremony for Ufrate Hangzhou. 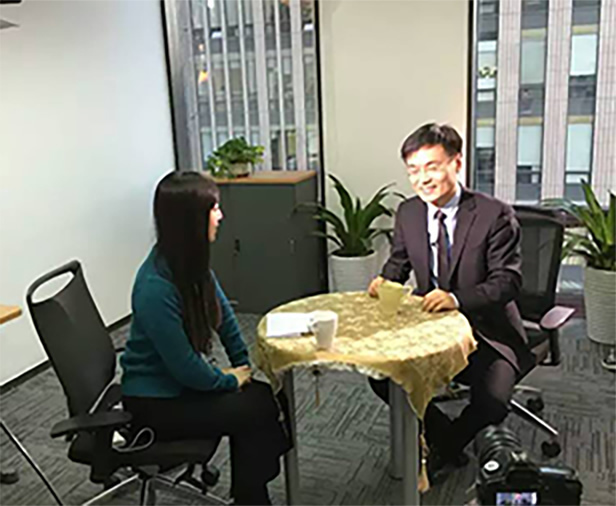 "Business world" magazine interview with Xinhua News Agency TV and Internet coverage of Ufrate. Dr. Shen sharing his learning, growing, and business experiences with two thousand students at his alma mater. Our team is composed of leaders who have many years of experience working in venture capitals and using business strategy, operations strategy, and management to effectively incubate high-quality companies. Mr. Lee is one of the Co-Founders of Ufrate and a Quietsco consultant. He is a very active angel investor and entrepreneur in Taiwan and the Silicon Valley. 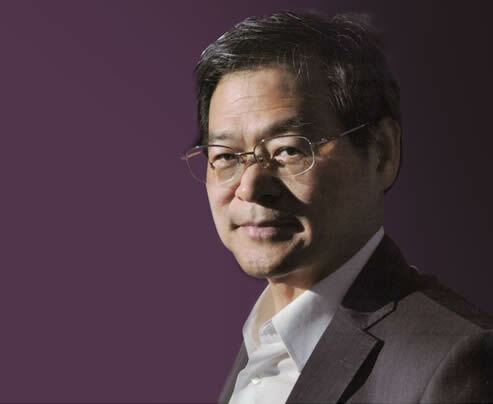 He has founded more than 10 high-tech companies, including Asus (stocks Code Asus), Qnap, and Phaselink. Mr. Lee has extensive experience in product management, sales, and marketing. 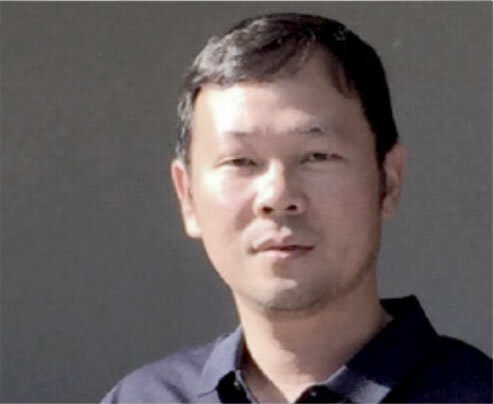 He is the President of QNAP Systems Inc., a multinational Taiwanese company specializing in network solutions for file sharing, storage, surveillance and many other features. QNAP’s NAS product line is dominating the US and European markets, and the company has been able to obtain world recognition. Dr. Stephen Chiao was received his Bachelor of Science from the National Cheng Kung University, his Masters of Science from the University of Southern California, and his PhD. from Stanford University. He is currently a Professor of electrical engineering at San Jose State University. He was appointed as an honorary visiting professor by the Shanghai Polytechnic University and the China Institute of Metrology. At the same time, he is also a partner of the incubator Sycamore, and a founding partner of GreenStar management company. Since 2002, he has been working with the SVC and AsiaStar investment funds. 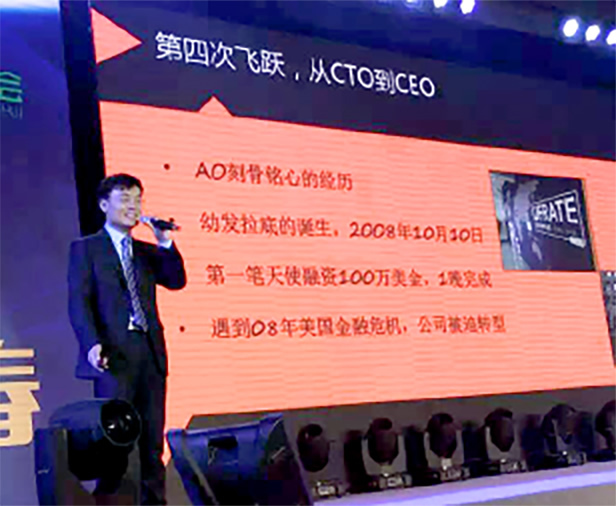 Over the past 15 years, Dr. Chiao successfully guided eight companies to market, with a total market capitalization of over $3.5 billion USD. He also manages companies, and has successfully completed six M&A deals, with a total market capitalization of over $50 billion USD. 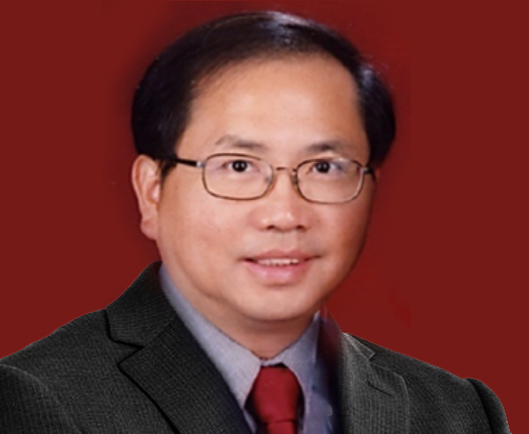 Mr. Xie has practiced American medicine for more than 20 years. He is the last disciple of the master Zeng Xiu Rong. He self-studied "Hetu" for 10 years, and founded the School of Natural Law Chinese Medicine dedicated to the combination of ancient Chinese medicine and modern science. He is the author of Natural Law and Traditional Chinese Medicine and Maintaining Health with Natural Law Diet Regimen.